Chandiroor is the first Siddha Village in India. Chandiroor is situated in Alappuzha at Kerala, India. This lies between Eramalloor and Aroor at NH 47. 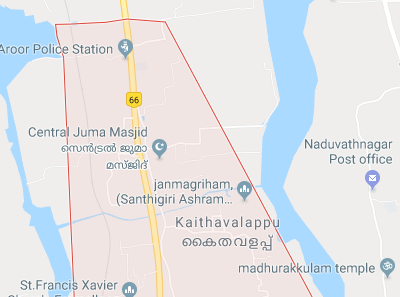 Lok Sabha constituency is Alappuzha. Famous Malayalam writer Kalathil Makki Divakaran born in Chandiroor, who was awarded the Ambedkar National Award in the year 2011. Chandiroor is also the birthplace of Sri Karunakara Guru, the founder guru of Santhigiri Ashram. The nearest city is Kochi. NH47 is the main connectivity.